A parking lot (American English) or car park (British English), also known as a car lot, is a cleared area that is intended for parking vehicles. If you are doing this type of business, then this is the best solution for you, it working on WooCommerce. – Background color or background image of block. – Width and height of block. – Types of slot, it can be Available, Vip, Booked… including name, color. – Price of types, it including price and unit (per hour or per day). – Slots mapping, including label of slot, type of slot, width, height, coordinates and tilt, a preview will display so you can easily adjust. Data on the width and the height will be adjusted automatically to fit the screen sizes. 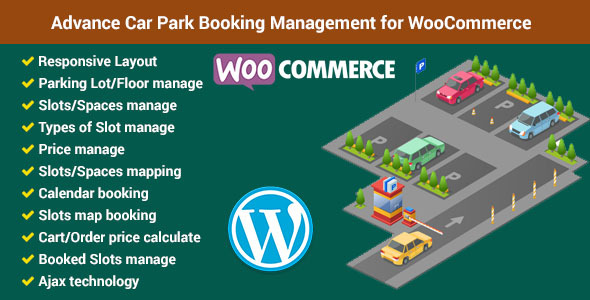 Then on WooCommerce product, admin can choose a parking lot – floor for this product. 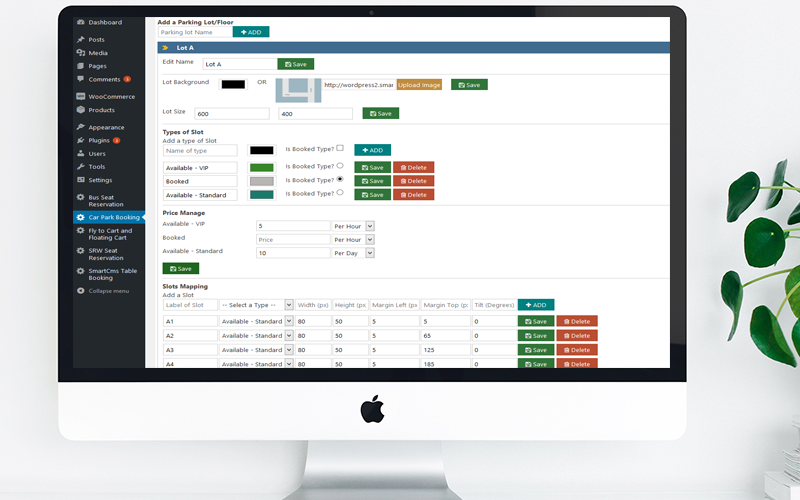 In product page, customer will can see types of slot and prices, then they can choose schedule from calendar, and choose slots that they want. The booked slots will be show on cart and order complete page, the price of slots also calculated. When customer completed their order, the booked slots will be show on product edit page and order detail page. In the product edit page, admin can delete booked slots for rebooking. 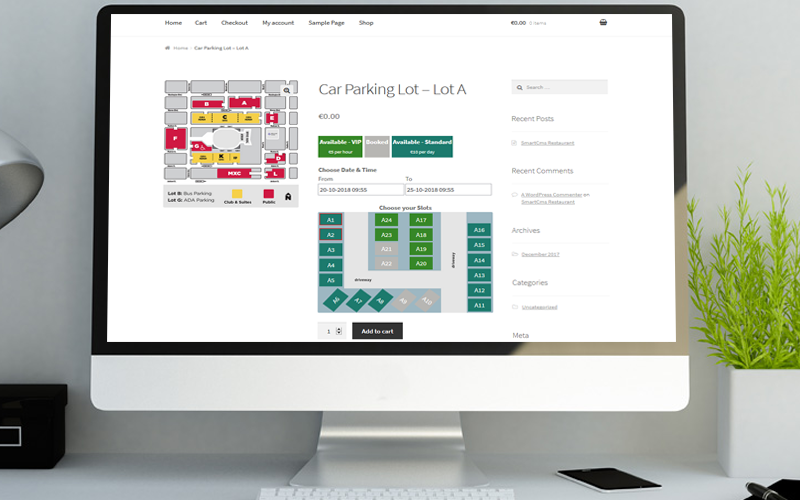 Very flexible and easy to get a best solution for rental parking service. If have any questions do not hesitate to contact me.